Children don't come into the world ready to play nice. They need to learn socially acceptable behavior, and for some kids, that can take years. That doesn't mean they are born little blank slates ready to be written on. After all, they don't need to be taught to hit or bite other kids. They need to be taught the appropriate behavior to replace unacceptable behavior like hitting, biting, and kicking. Kids are a product of both the traits they are born with and the experiences they have growing up, both at home and at school. This is one reason some kids are more likely to become bullies or be bossy and why it might take longer for some than for others to learn to replace those bullying and bossy behaviors with more acceptable behaviors. No one finds bullying behavior acceptable. What exactly is bullying? We think we know it when we see it, but it could be that we have become so concerned about bullying that we see every unkind childhood act as an act of bullying. But bullying has some specific features that are not part of all unkind acts of children. Kids don't bully kids who are stronger, more powerful, or more influential than they are. They know that they wouldn't get away with picking on those kids, so they pick on the kids who are weaker, less powerful, and less influential. Kids who bully also intend to harm their victim. The harm need not be physical; it can be emotional as well. This is certainly true of cyberbullying, where there is no physical contact between the bully and the child being bullied. The intent in cyberbullying is to inflict emotional harm. Even when the bullying is physical, there is some intent to humiliate the target. It's not just about physical harm. It is often the emotional toll of bullying that causes the most problems for the kids being bullied. All kids get into some kind of fight with other kids, even their friends. The fights aren't always physical, but they can still be hurtful. Getting angry and calling a friend a name or saying mean things about them is a typical childhood reaction to some conflict. This behavior is not bullying, however. There is a difference between bullying and other unkind acts. Bullying consists of repetitive acts, not a single act of "retaliation" for a perceived slight or unkindness. Why do some kids bully? There are different causes of bullying. Some causes are due to experiences like permissive parenting, but others involve emotional issues like a lack of empathy for others or a low self-esteem. Bossiness is not the same as bullying. The bossy behavior may be repeated, but it is not done with the intent to harm nor is it focused on one target. A bossy child likes to have her own way. To get her way, a bossy child just tells others what to do and what she wants. The goal of the bossy child is not to hurt someone, but to get what she wants when she wants it. A bossy child does not seek out another person to boss around. There is no target of the bossy behavior. A child will insist on getting her way with whoever is in a position to give it to her, whether it be other children or adults. Bossiness in gifted children usually comes from some internal need or trait, such as the need to organize or the love of complex rules. A gifted child might also get impatient with the inability of the other children to keep up or to pay attention. Gifted children do not always understand that other children aren't as interested in the rules of a game as they are or that some other children may not remember all the rules or have trouble understanding all of them. It is that impatience in part that can lead a child to start telling the other children what to do. It is much easier to tell kids what to do than wait for them to figure it out. Some children are bossy, though, because they are used to having their own way. Their behavior is usually the result of what has been called "overindulgence." The parents of such children often called "spoiled brats," let the child do and have whatever they want, usually to avoid tantrums and other bad behavior. It's important to note that bullying and bossiness are not the same behaviors, and while both bullying and bossiness might be caused by permissive parenting, there are other reasons for those behaviors. It's important to know the differences in the behaviors and their causes in order to find the best solutions. Bullying is a more serious issue since it is done to cause harm. 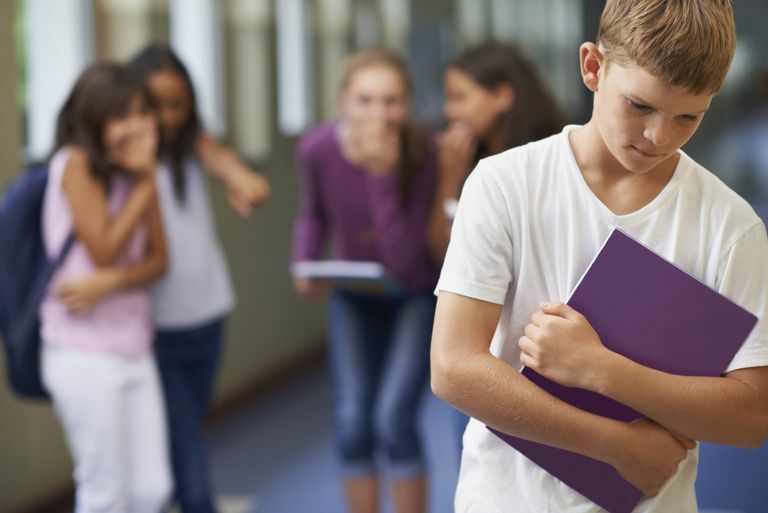 It can also be more difficult to solve the bullying because of the personality and temperament issues that make a child vulnerable to becoming a bully. Low self-esteem, lack of empathy, impulsiveness are among the traits that can cause a child to bully others. It is possible for bullies to change, though, with some help. Children who are bossy can also learn to change their behavior. Because the causes are different, the solutions to bossiness are also different. Whether you want to eliminate bullying or bossiness in your child, it's necessary first to understand the personality your child was born with as well as the environmental influences that have contributed to the behavior. That will make it easier to eliminate the unacceptable behaviors.